1. 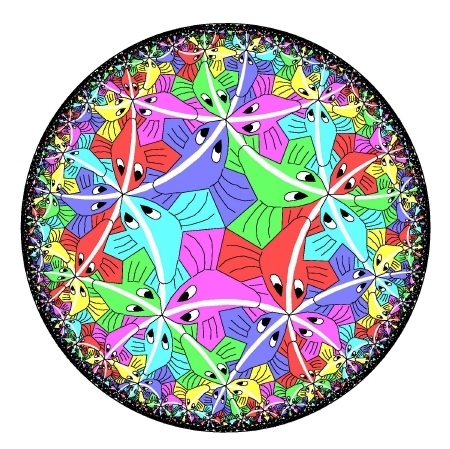 "Five Equidistant Fish Pattern"
This pattern is based on the fish pattern of Escher's hyperbolic "Cirlce Limit III" print in which the fish swim along so-called equidistant curves, except that five fish meet at a right fin instead of four fish as in Escher's pattern. 2. 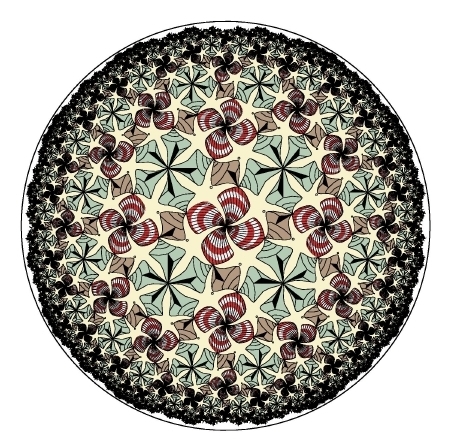 "Four and Five Shells Pattern"
This pattern is based on the shell pattern of Escher's Euclidean Notebook Drawing Number 42, except that there are points of both 4- and 5-fold symmetry, whereas there is only 4-fold symmetry in Escher's pattern. 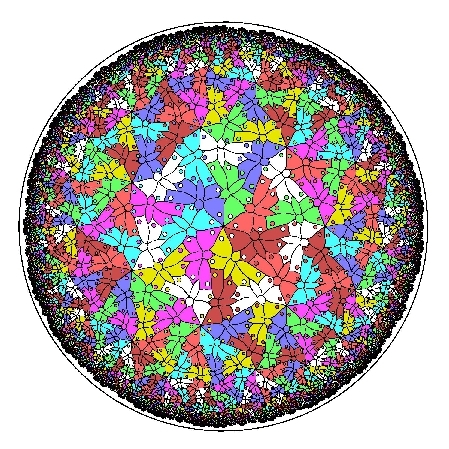 This pattern is based on the butterfly pattern of Escher's Euclidean Notebook Drawing Number 70, except that points of 6-fold symmetry have been replaced by points of 7-fold symmetry, making it a hyperbolic pattern.